In 2010 I wrote the book Addition by Adoption. It’s a collection of tweets and essays that tells the story of my son coming home. It’s a story of adoption, clean water and a stay at home dad. I wanted it to be more than just a book, so we pledged to build a clean water well in Ethiopia. 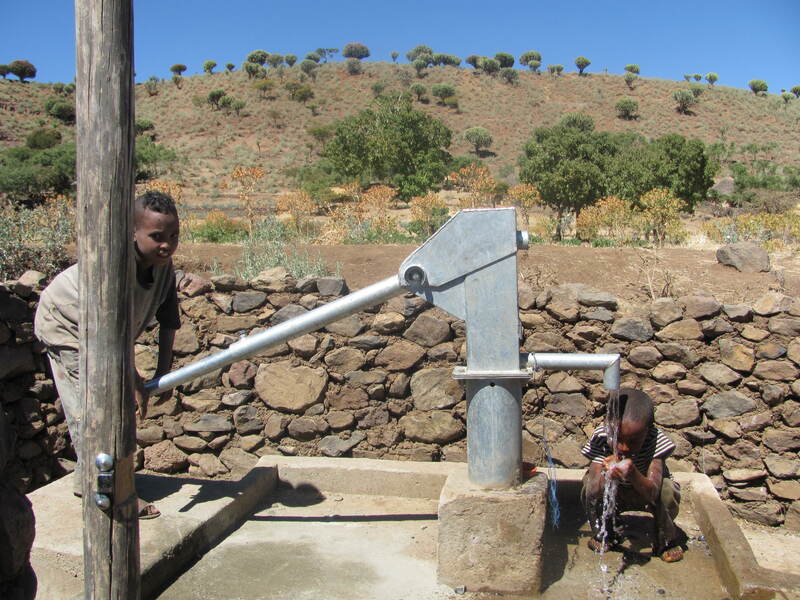 Wells cost an average of $5,000, so we had a lot of work to do. A little over two years ago we met that goal and raised $5,000. Sales of the book (usually $2 from every copy, in some cases more) generated $628, and the incredible generosity of so many people raised the rest—$4,385. It’s yet another reminder that we can do so little on our own, but we can do more than we can imagine together. I say all this because that money we raised has built a well in Ethiopia. I just got the email from charity: water. You an look at the Google Map, see the pictures and read about the community impacted by the well. I saw those words and started cheering and crying. 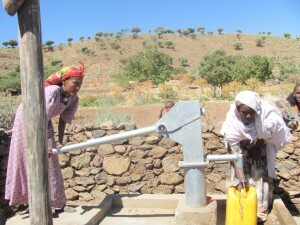 The village of Segalu in Northern Ethiopia now has clean drinking water. Before they had to walk up to two hours to collect dirty water. Now clean water is within a 15-minute walk for most of the community. By giving them water, you have given them time and health. 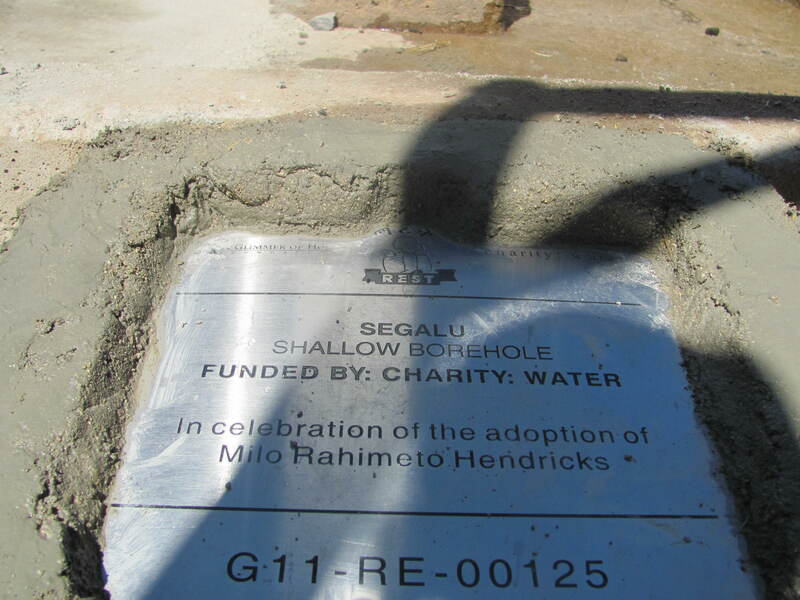 A shallow bore hole was dug and capped with a hand pump. 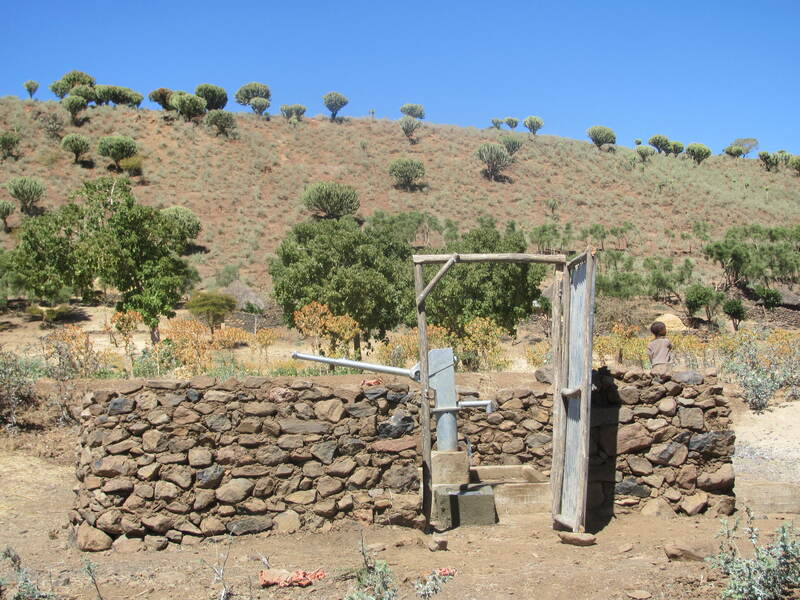 The community build a wall and a door around the well to protect it, taking ownership of it. We’re also working in partnership with the community as each family made a small donation to fund the well (between 3-6 cents) and will pay 3-6 cents per month going forward to fund maintenance. The well cost a total of $7,244, proving once again that we can’t do it alone. My Addition by Adoption campaign was pooled with two others to collect the necessary funds. You can read all this on charity: water’s site, but I just love repeating it. I showed Milo the pictures today and told him about the project. I probably said too much—I told him about the book and how it’s about adopting him and clean water and all that. 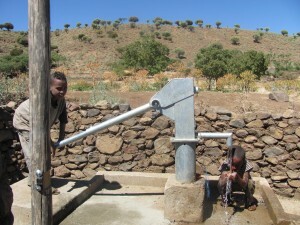 I told him about collecting dirty water in Ethiopia, about giardia and how this well would keep people healthy. I tend to way over-explain these things. His gratitude for being adopted is kind of awkward (would you thank your mom for giving birth to you?). I don’t know what to do with that. It’s not an expectation that should ever be placed on a child. You’re my son. You just are. There’s no thanks required. But he said it, unprompted. “No Milo, thank you for being my boy,” I said. I hugged him and told him I loved him. That seems like a good response to a great many things in life. I couldn’t help but laugh. How do I explain that Lexi wasn’t adopted, she was, well, born. Just like Milo was born? But. Wait. Um… Nevermind that the picture was Lexi’s first grade school photo, taken last month. Confusion abounds, I suppose, but I like that Milo clearly feels safe and loved and knows that “being adopted” is in no way less. It’s just different. And that’s OK. We’re all kind of different. After all, some of us have wells in Ethiopia with our names on them. And others helped pay for that well. We may be different, but we’re very much the same. I want to say it again: Thank you. While I put my own time and sweat into Addition by Adoption, the numbers above clearly reflect that this didn’t happen because of me. There are at least 80 people who donated to the campaign, others who donated to the campaigns who were pooled together with ours, others who bought books, others who raised funds from their friends and family, and still others who spread the word. To each and every one of you, thank you. I’ll be attempting to send you my personal thanks, but it’s likely I won’t get to everyone (especially the people I don’t even know). So thank you. Thank you. Milo’s gratitude may have felt awkward for me, but that’s my problem. Let us never shy away from giving thanks. Thank you for helping us help the people of Ethiopia, for giving back to them in a celebration of Milo’s life and heritage. We owe a debt that can never be repaid, but we will try anyway, like drops in the ocean. By the way, Milo’s birthday is next week. What a birthday present.